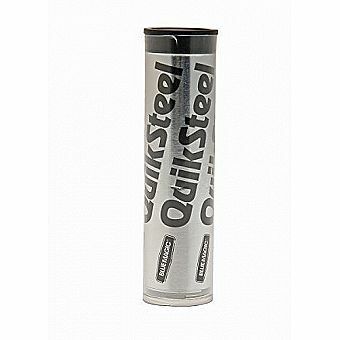 QuickSteel epoxy putty with stands up to 500 degrees Fahrenheit temperatures, sets in 5 minutes, is steel hard in 15 minutes and cures in one hour. Cures under water and can be drilled, tapped, filed, sanded and painted. Bonds to all metals, fiberglass, plastics, glass, wood and ceramics.